Just days after a story about Ralph Drollinger and Capitol Ministries was published by BBC News, a division of British Broadcasting Corporation, and distributed across the globe, it had reached more than 1 million readers world-wide. “For the first time in at least 100 years, the US Cabinet has a Bible study group. What do they learn? What does Donald Trump make of it? And why aren’t women allowed to teach? The location can’t be revealed — the Secret Service won’t allow it — but the members can. So who is the man leading the United States’ most-influential Bible study? Drollinger grew up in La Mesa, a suburb of San Diego, California. As a child, he rarely went to church — “Probably half a dozen times,” he says – and didn’t get far with the Bible. After college, he could have played pro basketball — he was picked in the NBA draft three times — but, each time, turned it down. Instead, he signed for a Christian team called Athletes in Action. They played basketball around the world — 35 countries, he reckons — and preached the gospel at half-time. It was, he says, candy floss Christianity — big, sweet, unsubstantial. By contrast, he wants to offer a “high-protein diet”, teaching the Bible book-by-book, one verse at a time. In Drollinger’s studies, it can take a year to finish one book. “If you don’t have a spiritual coach that’s really driving you in the word of God — and driving you toward holiness rather than your own sinful, latent nature, and your own depravity — then you’re not going to grow into Christ’s likeness,” he says. When four of the group were elected to the Senate, they asked for a senators’ class, which began in 2015. Last March — two months after Donald Trump took office — the same process led to a group for cabinet members. “Unlike our secular media,” Drollinger says, he and others saw the appointees had something in common — they “were strong in Christ”. President Trump is not a member of Drollinger’s group — but he is a Christian, and does get Drollinger’s eight-page print-outs most weeks. So if politicians should learn from the Bible, should — for example — gay people be put to death? No, says Drollinger — some civil laws from the Old Testament should not apply. Drollinger likens himself to a waiter in a restaurant. 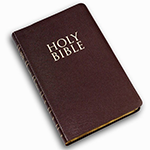 These lessons aren’t his — he is merely serving the word of God, as revealed in the Bible, to self-professed Christians. And if people don’t like the message — or, to put it his way, the meal? “I believe in institutional separation, but not influential separation,” he says. Drollinger describes himself as “Republican, conservative — I don’t think there’s any mystery about that”. He rails against “environmentalist wackos” (but wants good stewardship of the environment), thinks the welfare state begins with the family, followed by the church (though doesn’t rule out state intervention), and has supported Donald Trump since he was a long-shot in the primaries. Drollinger doesn’t necessarily think Trump is “working off of my blueprint”. Drollinger lives in California, and flies into Washington for his classes, which usually take place from Monday to Wednesday. Capitol Ministries is a non-profit organisation, funded by donations. He and Danielle are paid salaries, but say they do not take the full amount. So how does it feel, on a Wednesday morning, to teach the Bible to some of the world’s most-powerful people? “I’m just a jock with some bad knees, and here I am. Only you [God] could have done this — why me? So that goes through my mind a lot, and I think that’s healthy. “But then there’s the other standpoint — where I sense that I’ve got 21 years of expositing the word of God, specifically to apply to the life of a public servant. “So in that sense, I feel like I’m the most qualified guy in the world.